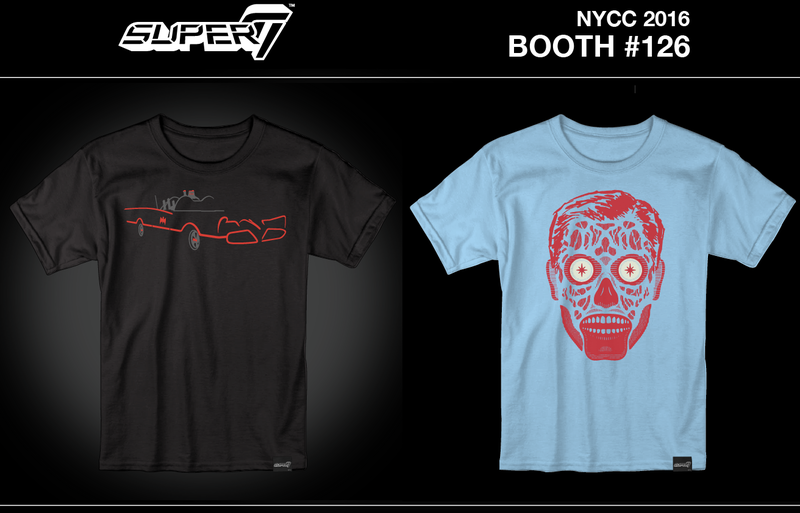 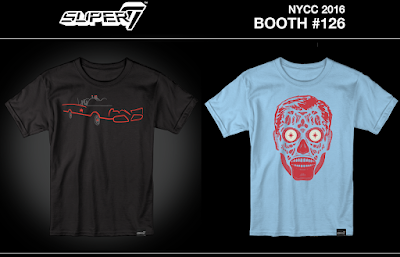 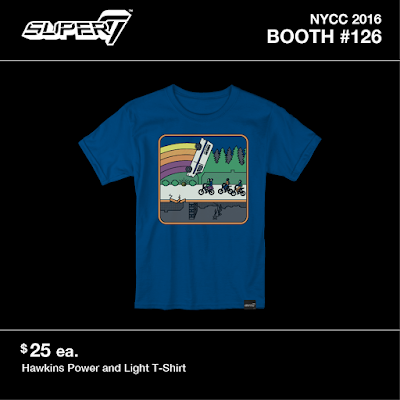 Super7 will be at New York Comic Con 2016 next weekend with a killer collection of exclusive pop culture inspired t-shirts! There are some awesome new designs, including a Minimalistic Batman ’66 Batmobile, a They Live “Consume” t-shirt, a Game of Thrones “Hodor” t-shirt, an Nintendo Excitebike t-shirt and a really great Stranger Things “Hawkins Power and Light” design. 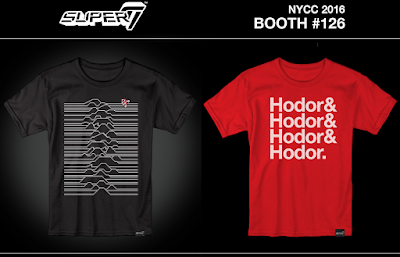 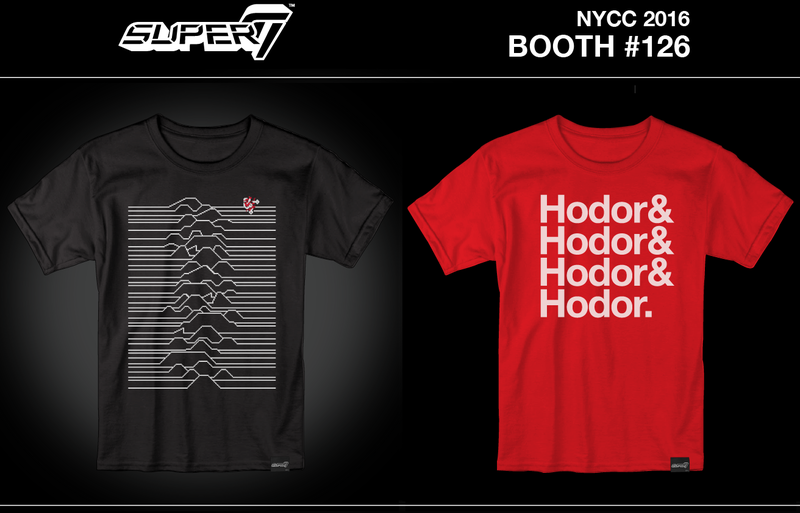 All five designs will be available in multiple sizes and retail for $25 each at the Super7 NYCC booth #126.